Do you need to submit your logo? Yes, I would like to submit my logo now. No, I will submit my logo later. All logos must be in AI or EPS format and 300 dpi (high resolution). 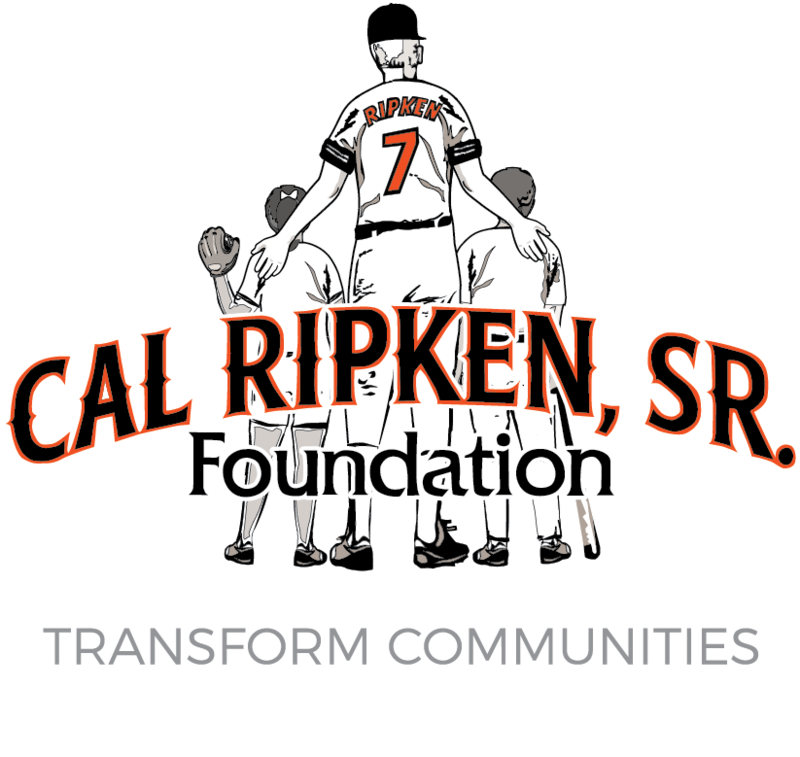 You can also send your logo to Caroline Glass at cglass@ripkenfoundation.org. Please upload your logo file below. Please note that all logo files must be in AI or EPS format and be at least 300 dpi (high resolution). Allowed types: txt, rtf, pdf, doc, docx, odt, ppt, pptx, odp, xls, xlsx, ods, eps, ai, psd, jpg. Do you want to submit your guests' names and cell phone numbers now? Yes, I would like to submit my guest list now. No, I will submit my guest list later. Not ready to submit your names? If you do not have your list ready, you can return to the event page to submit it electronically or download the RSVP form here and send it to Natalie Caterino at ncaterino@ripkenfoundation.org. Please provide your guests' names and phone numbers below. If you do not have your guests' names yet, you can return to the event page to submit them electronically or you can download the RSVP form here and send it to Natalie Caterino at ncaterino@ripkenfoundation.org to submit your names. Guest names are not required to submit this event form. Please note that both guests will receive a photo pass for a photo opportunity with Cal Ripken, Jr. Guests' cell phone numbers will be used to pre-register them on our mobile bidding platform, BidPal. If you do not have their cell phone number, guests can provide their number at registration or use floating iPads to bid on auction items at the event. Guest #1 - Cell Phone Number? Guest #2 - Cell Phone Number? Please note that the first four guests will receive a photo pass for a photo opportunity with Cal Ripken, Jr. Guests' cell phone numbers will be used to pre-register them on our mobile bidding platform, BidPal. If you do not have their cell phone number, guests can provide their number at registration or use floating iPads to bid on auction items at the event. Guest #3 - Mobile Phone Number? Guest #4 - Mobile Phone Number? Guest #5 - Mobile Phone Number? Guest #6 - Mobile Phone Number? Please note that the first two guests will receive a VIP pass to a private after-party with Cal and friends and all guests will receive a photo pass for a photo opportunity with Cal Ripken, Jr. Guests' cell phone numbers will be used to pre-register them on our mobile bidding platform, BidPal. If you do not have their cell phone number, guests can provide their number at registration or use floating iPads to bid on auction items at the event. Guest #7 - Mobile Phone Number? Guest #8 - Mobile Phone Number? Guest #9 - Mobile Phone Number? Guest #10 - Mobile Phone Number? Please note that the first four guests will receive a VIP pass to a private after-party with Cal and friends and all guests will receive a photo pass for a photo opportunity with Cal Ripken, Jr. Guests' cell phone numbers will be used to pre-register them on our mobile bidding platform, BidPal. If you do not have their cell phone number, guests can provide their number at registration or use floating iPads to bid on auction items at the event. Guest #11 - Mobile Phone Number? Guest #12 - Mobile Phone Number? Guest #13 - Mobile Phone Number? Guest #14 - Mobile Phone Number? Guest #15 - Mobile Phone Number? Guest #16 - Mobile Phone Number? Guest #17 - Mobile Phone Number? Guest #18 - Mobile Phone Number? Guest #19 - Mobile Phone Number? Guest #20 - Mobile Phone Number?